There's nothing more testosterone-filled than auto shows. 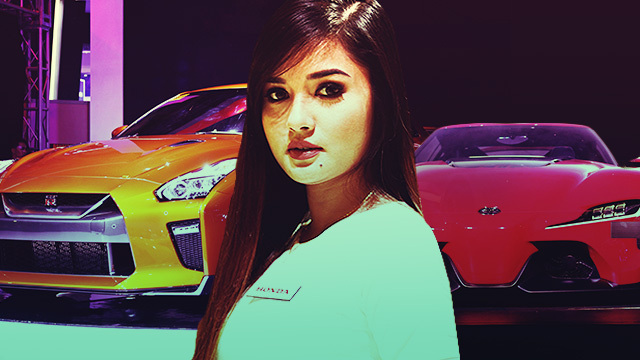 This year's Philippine International Motor Show (PIMS) didn't disappoint, as it brought together the hottest rides, hottest chicks, and hottest car topics, all in one exciting exhibition. After drooling over the exquisite array of auto display, we then set our sights on the second most important item in our PIMS priority list: car show models. Having gotten all of their names, expect a handful, if not all, of these women to lord over our digital pages in the next few months. Binibining Pilipinas Top 12 finalist! Baby you can drive (our) car!